J Grace was born out of a passion for paper, pens and pretty projects. Founder Jennifer Dailard was once that little girl who asked for an artist kit, brushes, and notepads as gifts – for seven holidays in a row to be exact – and thankfully her wish came true. Fueling her young mind with colors, shapes and techniques that would one day bring an entire stationery collection to life. 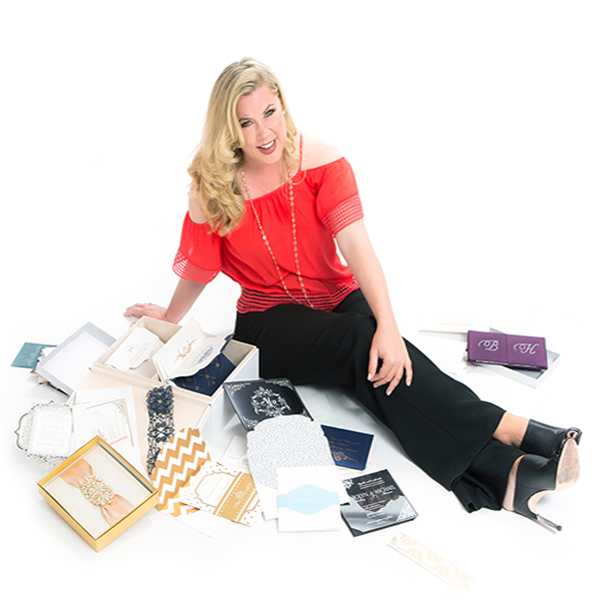 With nearly 20 years of marketing, public relations and advertising experience, handling multi-million dollar accounts and ad campaigns, Jennifer found herself fine-tuning her very own wedding invitation in 2005. That moment sparked something special inside her to create the J Grace brand. This ready-made line of collection suites are each identifiable by a unique design, style and name. The invitation size is primarily a 7×7 square shape or 6×8 rectangle that includes complementary detail and RSVP cards in luxurious packaging. The collections are all color-customizable to personalize each suite. J Grace Couture is an extension of the brand with high-fashion stylings for those desiring a handmade touch. Jennifer is a native San Diegan, with a degree in Comparative Literature from UC Santa Cruz. She is an avid traveler with a special love France. Jennifer dotes on her two darling nieces, and lover to her dachshund duo, Mighty Fred and Woody. Her life often imitates art as an influence and inspiration for the J Grace Collection.